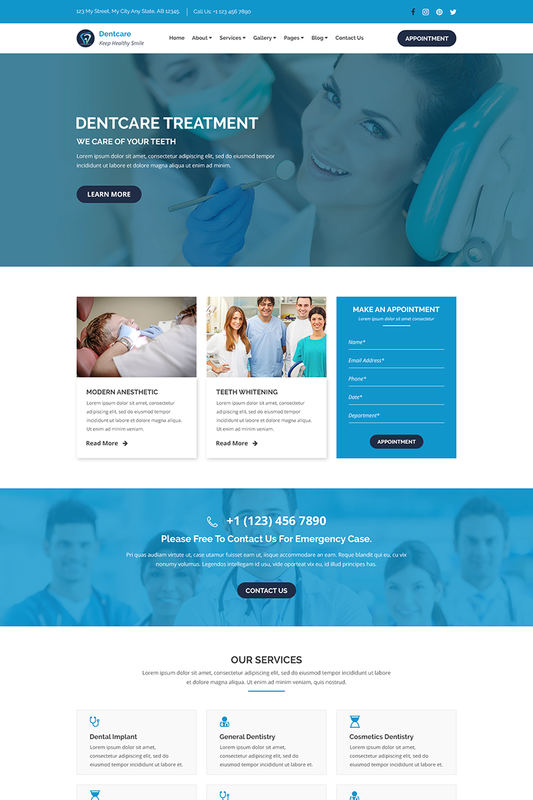 Dent-Care is a Modern and elegant PSD template suited for dental clinic, hospital, medical and health-related business. This template is Created for dentists, dental clinic, Dental, Dentist & Medical, Medical Websites, Medical Companies, Health, hospitals, integrative medical centers, Physiatrist / Chiropractic, Orthopedic, doctors, Neurologists, general practice, Therapist, Health Coach, ENT experts, Oncologists, spa, yoga, psychology, health care and other medical institutions. You can customize it very easy to fit your needs.